The year 2011 is the 150th birth anniversary of Jose P. Rizal and the 100th death anniversary of his mother, Doña Teodora Realonda Alonso Rizal (1827-1911). The life of Doña Teodora illustrates how Filipinos, men and women alike, struggled to keep their families together during the tumultuous period of Spanish colonization. 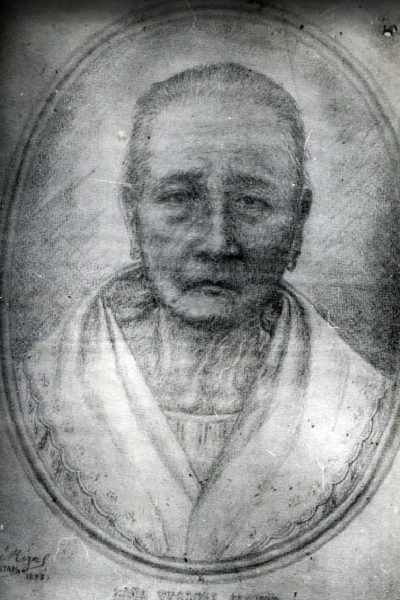 First of all, Doña Teodora worked hard to support her family and send her children to distinguished colleges in Manila. Aside from handling the family’s finances, she also helped manage their farm where they raised corn, rice, and sugarcane. She was involved in their textile business as well as in their sugar and flour mills and homemade hand press. To earn a bit more, Doña Teodora also opened a small store on the ground floor of their house. However, despite the value she attaches to education, Doña Teodora vigorously objected to her husband’s plans of letting Jose pursue higher education out of fear that their son will suffer a tragic fate. During those times, the ruling Spanish officials were hostile towards the learned Filipino. When Jose traveled to Spain to study, it was without his parents’ knowledge. Her efforts to protect her family did not, however, save her child or herself from persecution. Doña Teodora was imprisoned and punished on the basis of false and flimsy charges. Nonetheless, she remained supportive as Jose’s revolutionary pursuits intensified. When Jose was exiled to Dapitan in 1892, his mother and sisters left Hong Kong to keep house for him. Guerrero, Leon Ma. The First Filipino: A Biography of Jose Rizal. Manila: Guerrero Publishing, 1998. “Teodora Alonso.” http://www.nhi.gov.ph/downloads/mp0011.pdf. Retrieved May 9, 2011.